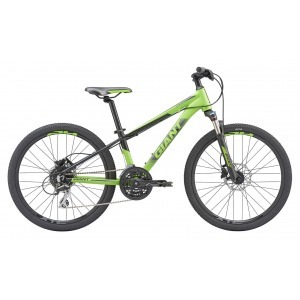 Get prices for Giant XTC bikes and read exclusive review. If you are looking for that ultimate mountain bike that delivers in several arenas of the sport, then the Giant XTC is what you need. This bike boasts an advanced grade composite frame that promises durability and long-term resilience. The bike weighs around 12 kilos. It has an average price but offers excellent performance for the cost. The first thing that you would look at when considering a mountain bike is both its design as well as its structure components. As mentioned, the Giant XTC is composed of an advanced grade composite frame. This means that you can push this bike to its limits and not to expect it to crumble. This is definitely an important feature if you are not the kind of rider that is merciful to their bikes. Now that you know that the XTC can take a licking, it is time to look at just how well it rides. The short answer – this bike is a dream to ride. This is because it takes corners like a pro, is rigid when it needs to be but also offers a certain degree of flexibility. One of the most important aspects of any mountain bike is its ability to get up and down a hill. Here, too, it was good news all around. Although on the heavier side, the XTC did not bat an eye when heading up the slopes. While the smaller hills were easier to manage, there was very little resistance from the bike. Heading down was like flying, with this bike performing like a charm. In addition to being smooth, the bike easily overcame any terrain that it landed on. All across the board, the Giant XTC was amazing. One of its less than stellar features, however, were the brakes. At first glance, this seem to do quite well. However, the XTC does manage to create some serious speed and power. The brakes do not do much in response to this considerable force. Nevertheless, this is only a blip on an otherwise outstanding test ride of the Giant XTC. The Giant XTC performs well beyond all expectations, even for its price range. It is true that the Giant XTC is not the cheapest option on the market. Nonetheless, it rides so well that it is easy to overlook this and simply get one anyway.